Delhi is becoming a creative business hub but it's still far from being the preferred city for production houses. Is it the lack of talent, infrastructure and high cost that are hindering Delhi's growth or are ad production houses just too comfortable being in the Bollywood-driven city? If you were to count the number of movies shot in Delhi in the last couple of years, you could name at least a dozen. But if you were asked about ads filmed in Delhi, hardly any would come to your mind. This despite the fact that all big advertisers, including Airtel, Maruti Suzuki, PepsiCo Coca-Cola, Reckitt, Hyundai and Samsung, are based in Delhi-NCR. Not just that, Delhi is also the place where a lot of senior professionals of network agencies’, NCDs (National Creative Director) and CCOs (Chief Creative Officer) are based. Swati Bhattacharya of FCB, Soumitra Karnik of Dentsu, Ajay Gahlaut of Ogilvy and Prateek Bhardwaj of McCann to name a few. JWT and Ogilvy’s offices are bigger than the Mumbai ones. Sometime ago, BestMediaInfo did a story on how Delhi is becoming the creative industry hub in India. A few experts had said even though Delhi’s creative industry is growing business-wise, all major awards are presented in Mumbai. Also, as production houses are based in Mumbai, the impression will always be that Mumbai is the creative capital. So why is it that even after such robust growth, the creative industry has to eventually come to Mumbai to shoot films? Some say Delhi's lack of professionalism and too much reliance of jugaad ideology make it a laggard. Others believe that with increase in business, big production houses would also open shop in Delhi, just like the creative agencies. "Mumbai has a lot of spare studio and shoot infrastructure because of Bollywood. Delhi doesn't have that and hence there's an increase in cost," argues an expert. "Movies that are shot in Delhi have a city storyline. Whereas, an ad can be shot anywhere if the desired location and infrastructure is available," he added. Prahlad Kakkar of Genesis Films thinks that even if proper infrastructure is set up in Delhi and one can bring in the top-of-the-line cameramen, models and directors, what will you do with the set designers, carpenters, executors, light boys and wrap-up boys? Nobody is honest in Delhi and people in Delhi overcharge as well. A man in Delhi will do the two-hour job in six hours,” said Kakkar. 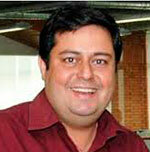 Kapil Arora, President, Ogilvy Group Companies, North, ‎Ogilvy & Mather, sees a good future for production in Delhi. Arora said, “Till now, Mumbai remains the hub. But ever since the democratisation of content creation, there are enough and more production work happening in more cities. They might not be working with the large-scale agencies, but I am sure there are production houses doing their own content for digital. Because of the size of the business in Delhi, the city is becoming equal to and larger than Mumbai. He thinks it totally depends on where people want to work, irrespective of the location. Naming a few production houses in Delhi and Bangalore like Kiss Films and DZU Films in Delhi and Nirvana based in Bangalore, Arora thinks nobody in these two cities must be sitting idle. He sees the scope of work improving in cities like Delhi and Bangalore. People start in Delhi but end up moving to Mumbai because of the Bollywood aspirations and more scope of work available in Mumbai. Apo Calypso, Chrome Pictures and Rising Sun Films, are a few examples where the founders started in Delhi and eventually moved to Mumbai. Prathap Suthan, Managing Partner and Chief Creative Officer, Bang In The Middle, recollected that earlier one could fetch good production quality work from Delhi at a lesser price, but now the cost is more or less equal and economical. The one thing that bothers Singh is that even if they wish to shoot in Delhi, it involves a lot of cost in calling technicians and other related people from Delhi, which in turn increases the budget and people end up moving to Mumbai. He thinks that the production houses based in Delhi can do much better if the clients and agencies support them.